The year 2012 with a lot of memories is going, and a new travel is about to begin. Getting a map of the year 2013, what do you imagine? Remember how a new travel begins. Long night hard to sleep, impatient for the morning. You open the door and leave home, rigid with a little bit of anxiety and full of expectation. As you hear the announcement of destination at the airport, your pulse quickens and the heart begins to beat with excitement. Imagining your experiences to possibly change the world, you will fly. Travel begins like this. You will see a lot of bother or hardships during your travel. Nevertheless, unlimited freedom ahead and expectation to encounter unknown future will wash them away. 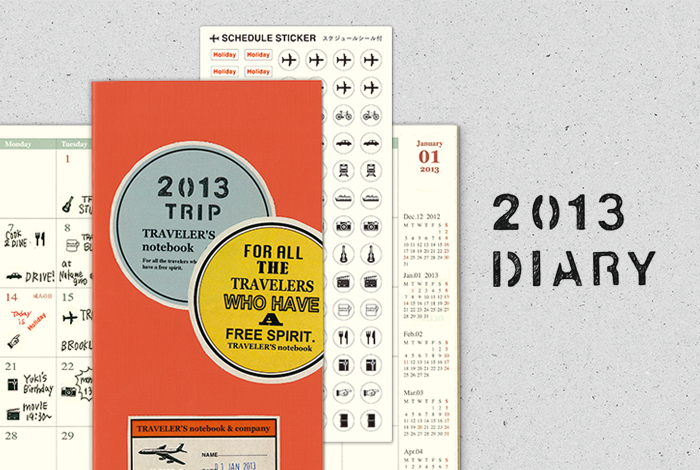 TRAVELER’S notebook Diary is a map to travel the year 2013. Enjoy your travel, customizing it in your own way freely. 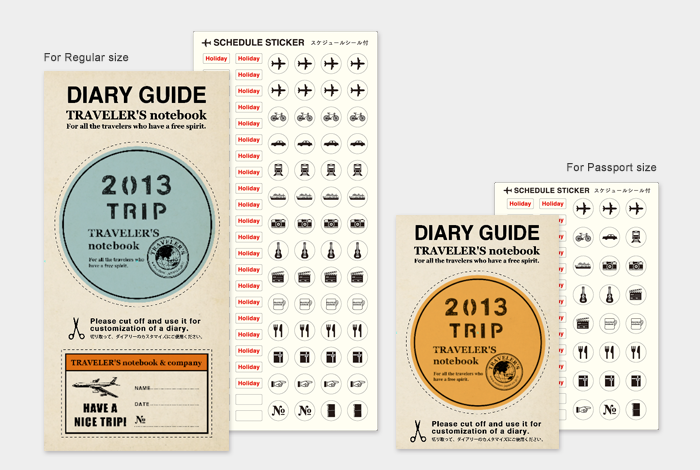 Bonus items for 2013 TRAVELER’S notebook Starter kits and 2013 Refills.